DeLow is one of the brands created by Miroslav Ivanov and Veselin Ivanov. The brand was founded in the beginning of 2012 but its history can be followed to several years earlier. Miroslav Ivanov and Veselin Ivanov met in 2006 while they were both working in Washington DC, USA. During that time they had been discussing and developing many business ideas and projects for the future. In 2007 they both started working in London, UK for the HR giant Adecco UK. Miroslav Ivanov and Veselin Ivanov continued to work for Adecco even in their home country Bulgaria, where they studied ‘IT’ in State University of Library Studies and Information Technologies. In the middle of 2008 they both left their job for Adecco and dropped out university to start GlideDesign – a company for web design and web development. Few months later the two founders employed a professional staff. The company’s office was changed few times during that time, because of the company’s quick growth. For less than 2 years GlideDesign became one of the most preferable web studios and released more than 150 projects. Miroslav and Veselin also founded GPrint, where the company was able to satisfy the needs of printing services for their clients. Their deep knowledge and advanced know-how in the field of SEO and Google Adwords helped them to rank both sites on first position in Google, which results in fast growth and progress. 2011 was marked by Delow early blueprint. 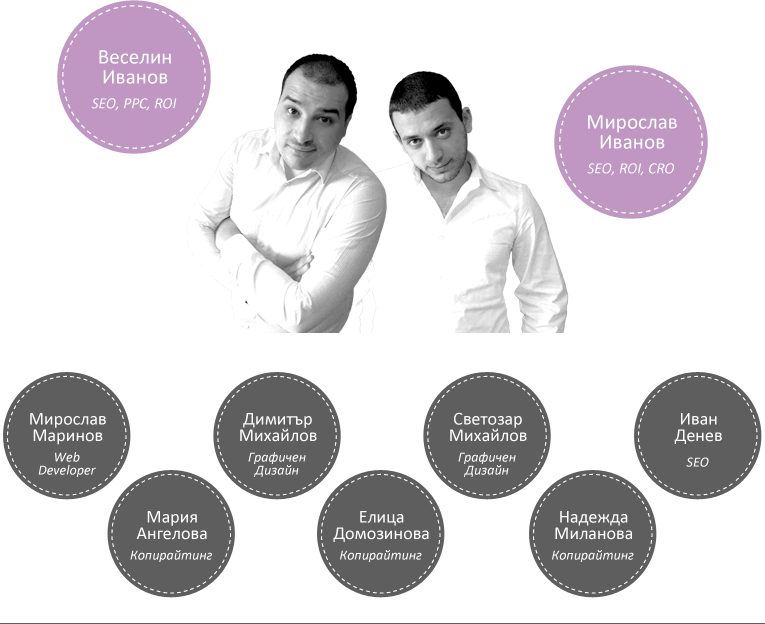 Miroslav and Veselin made their best efforts in mastering their knowledge in SEO and Online Marketing. Their goal was creating their own marketing conceptions and developing marketing strategies with a well-qualified and skilled staff. In the early 2012 Delow was officially born. So far more than 25 clients already took advantage and benefits of the high quality services Delow provides. By the end of 2012, Delow clients accounted an enormous growth in their sales, that reached from 40% increase to the incredible +500% for some of them. There is no “that’s enough” for us. Our clients are now leaders in their niches, but the race is far from over. In 2013 we set new heights to conquer. Why I’m having bad sales?